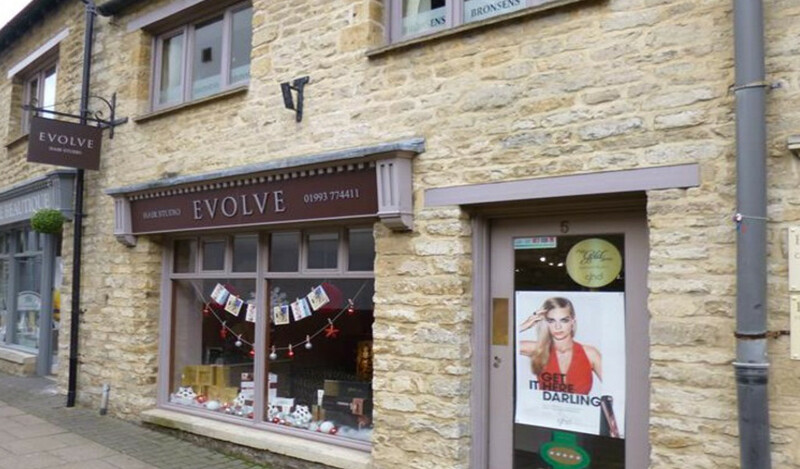 Evolve Hair Studio is located within Witney town centre and offers quality hairdressing using TIGI and ghd products within a relaxing environment. Our team consists of stylists trained to a senior level providing professional hair care to every client, as well as head massages and a complimentary range of free refreshments to ensure a comfortable experience. I visited the salon for the first time yesterday - I wanted a complete restyle. Thanks to Zara, my new hairstyle is amazing. I can honestly say, I didn't expect the result that I came away with. None of my family can quite believe it.! I've definitely had a total transformation. I really didn't know what to do with my hair so was totally reliant on the professionalism of the hair stylist. Many, many thanks. As a long-standing client of Evolve I can testify to the high standards set by the young owner, Hayley, and her capable staff. Everyone involved with the salon is invariably pleasant and polite to clients of all ages. As a woman of a certain age I appreciate the relaxed ambience (ie no blaring Radio 1-type music, just soothing mood music). Nice decor too. My one criticism (and it's not really a criticism) is that the coffee could be of a better quality. Otherwise, top marks. I have been a customer at Evolve Salon for quite a few years now,and have never come away from an appointment feeling disappointed. Sarah is my stylist of choice,but on occasions where Sarah hasn't been available I've put my trust in the other team members and have never been let down. All the stylists actually listen to what it is the customer wants,they don't just do what they think looks right. All the staff are very friendly and always offer a drink to the customer,the background music that plays in the salon is always good and most important not too loud. The loyalty scheme run by the salon is very good, after 4 separate appointments you receive 20 % off your next appointment which is handy when your having a full head of highlights. As with all hairdressing these days a salon visit can part you with quite a lot of money, Witney isn't the cheapest town to get your hair done, but I have to say Evolve prices are very competitive and certainly not as expensive as some of the other Witney salons,and I have to say they are worth every penny spent. Evolve is an excellent salon all round. I certify that this review is based on my personal experience of Evolve Hair Studio and is my opinion. I have no business or personal link with Evolve Hair Studio and have not been offered payment to write this review. By providing these comments you give Good Salon Guide permission to review and publish this information. Good Salon Guide reserve the right to edit comments for length, spelling or clarity where appropriate. As part of this appointment request Good Salon Guide will record your name, email address, telephone number and appointment details. This information will be passed to Evolve Hair Studio by email, through the Good Salon Guide app and over the telephone. This data will not be shared with any other companies and we will manage your data in line with your preferences below.